The Shadow Of A Cross On A Floor Of Little White Stones In A.. Stock Photo, Picture And Royalty Free Image. Image 94116233. 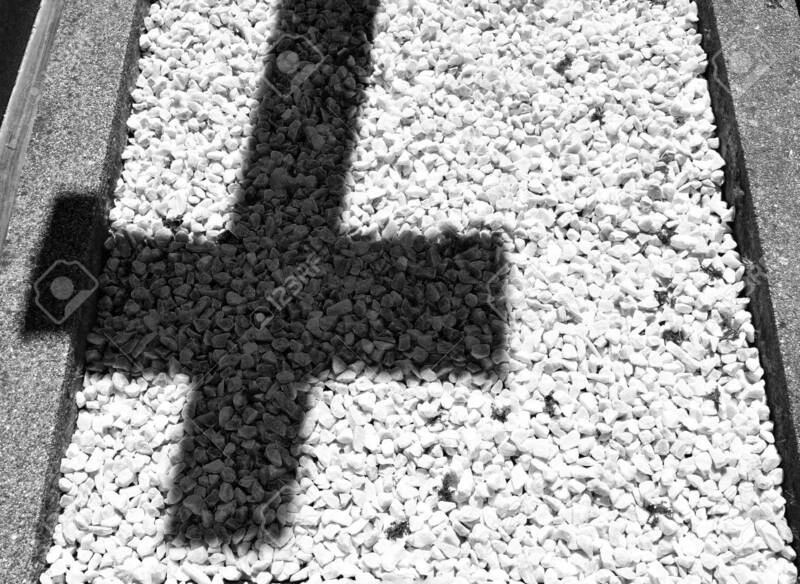 Stock Photo - The shadow of a cross on a floor of little white stones in a cemetery: concept of sorrow and grief. Black and white. The shadow of a cross on a floor of little white stones in a cemetery: concept of sorrow and grief. Black and white.